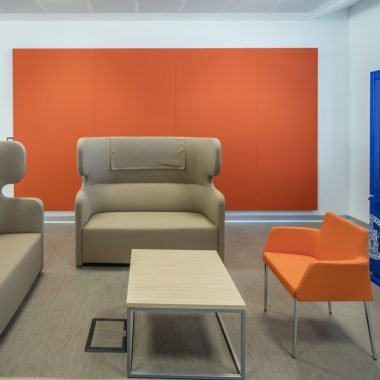 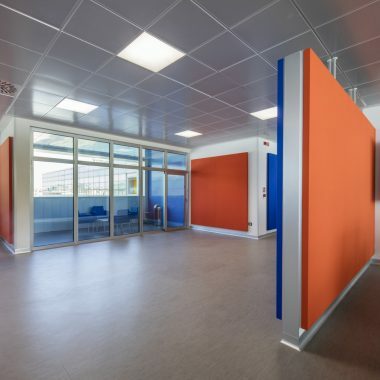 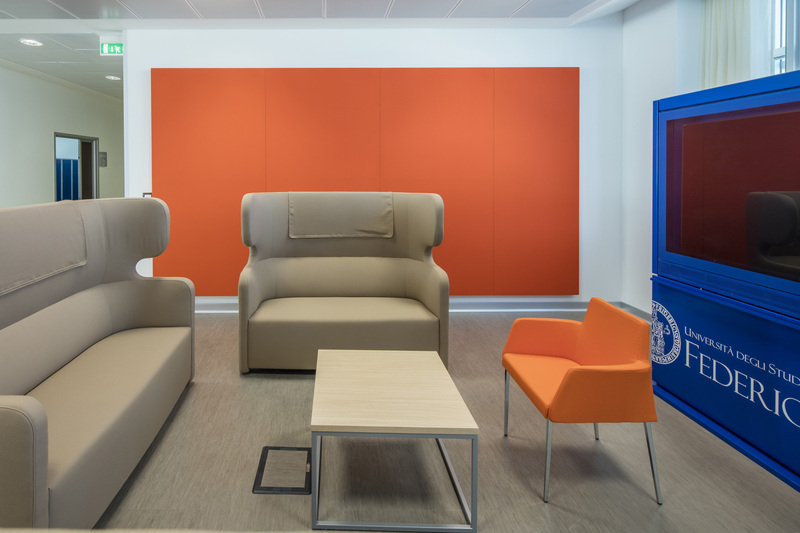 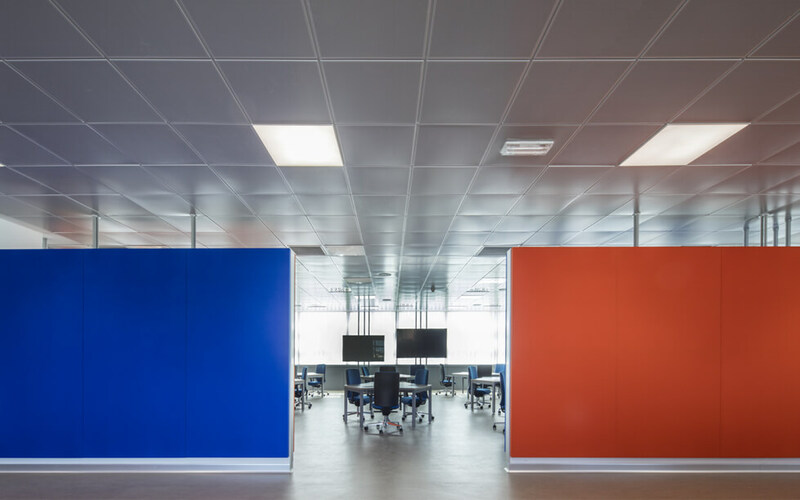 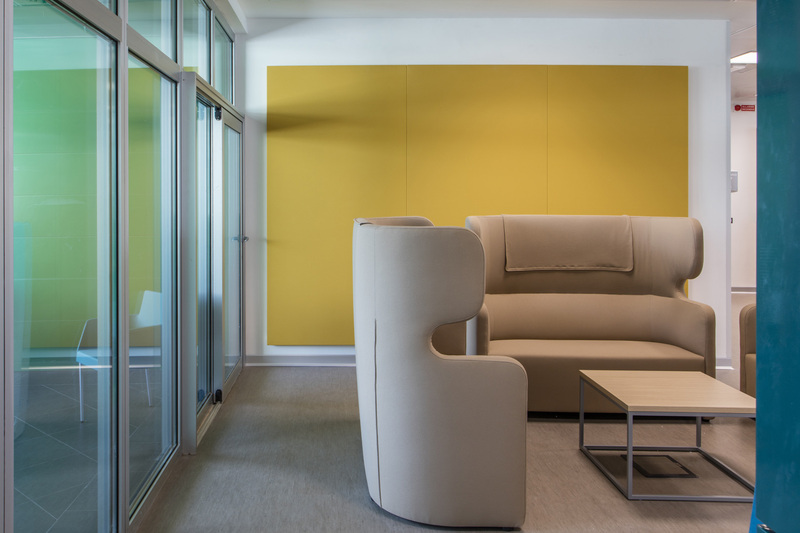 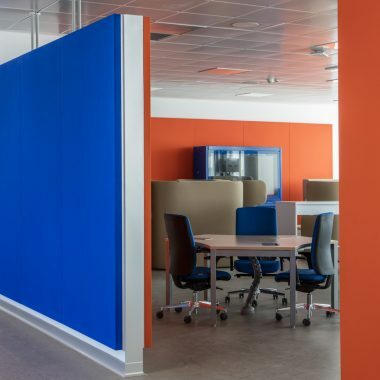 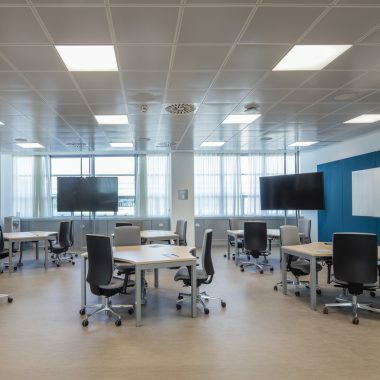 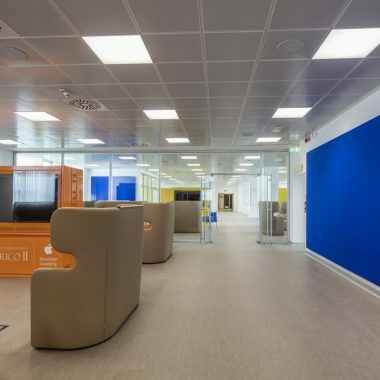 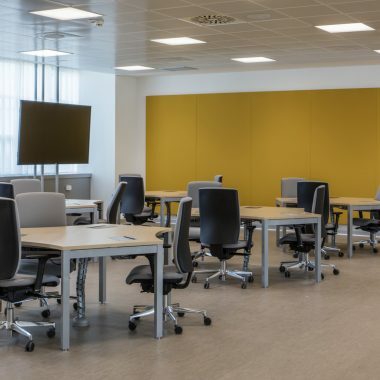 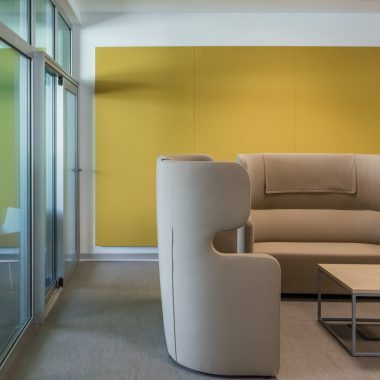 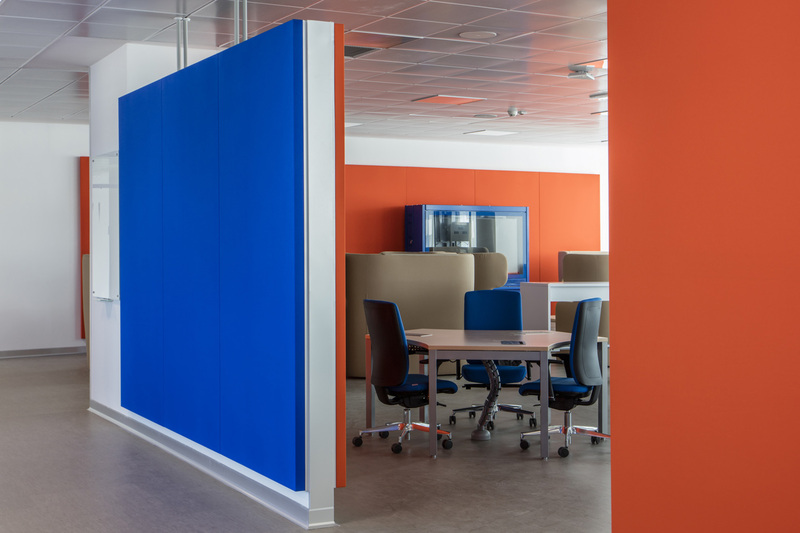 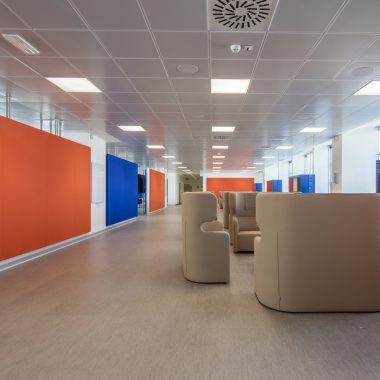 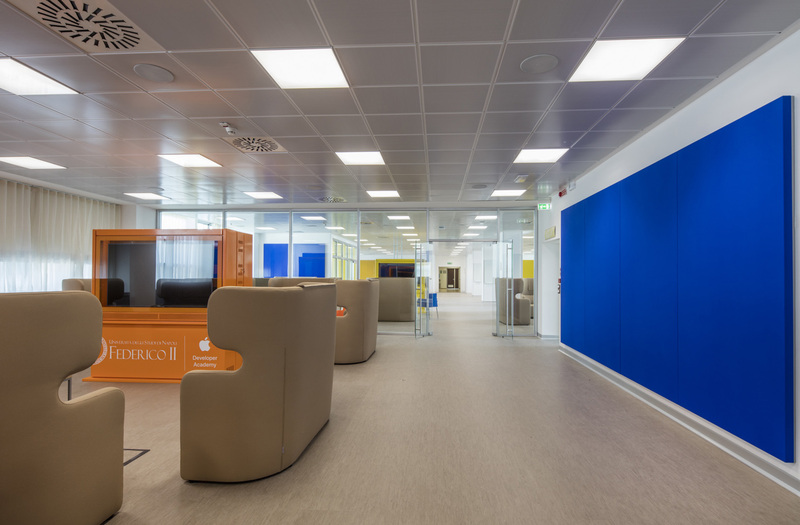 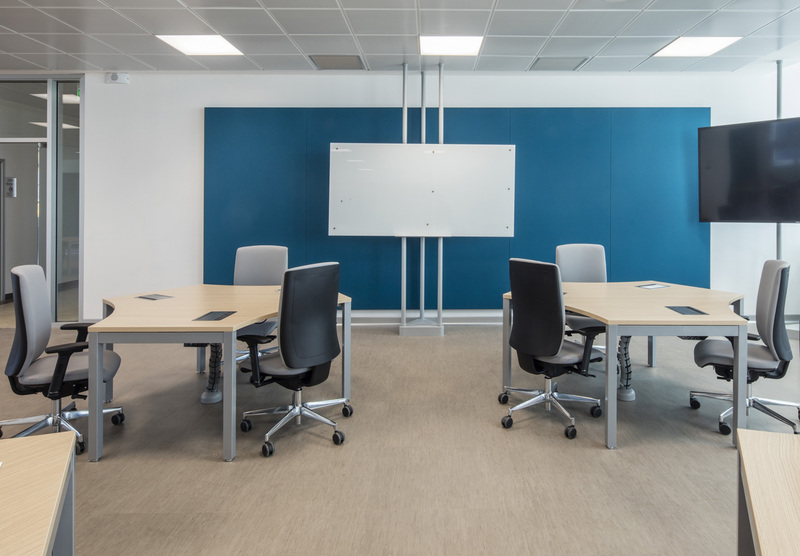 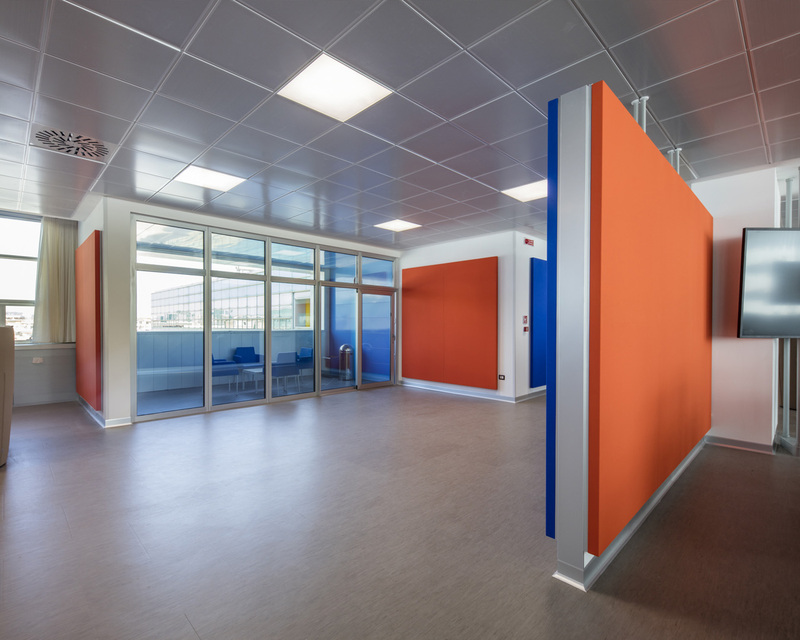 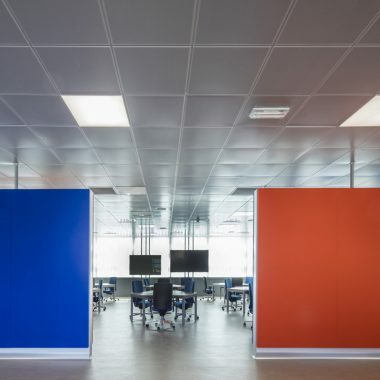 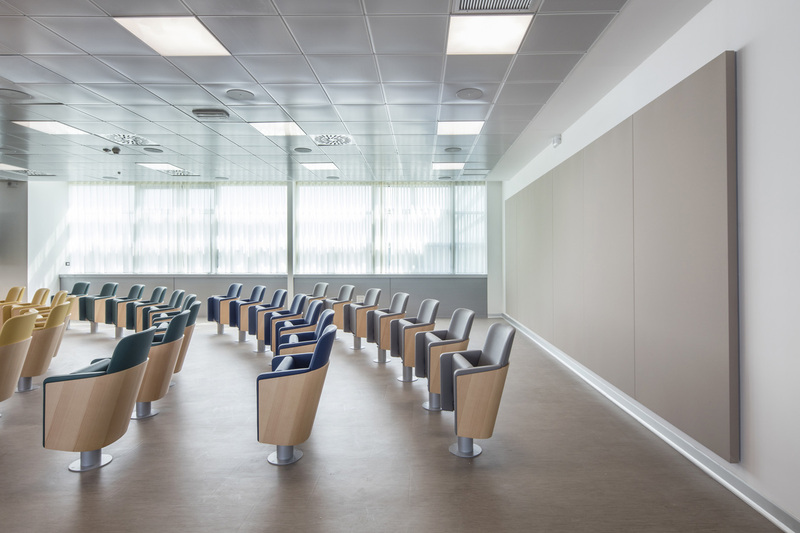 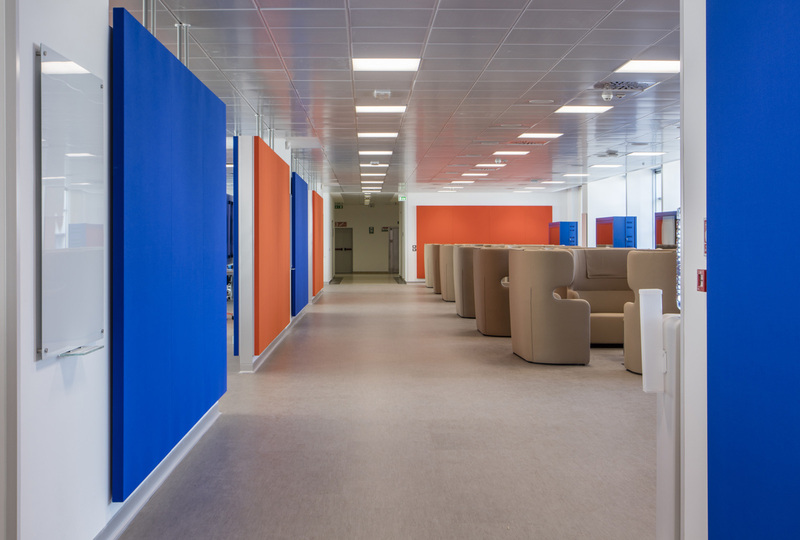 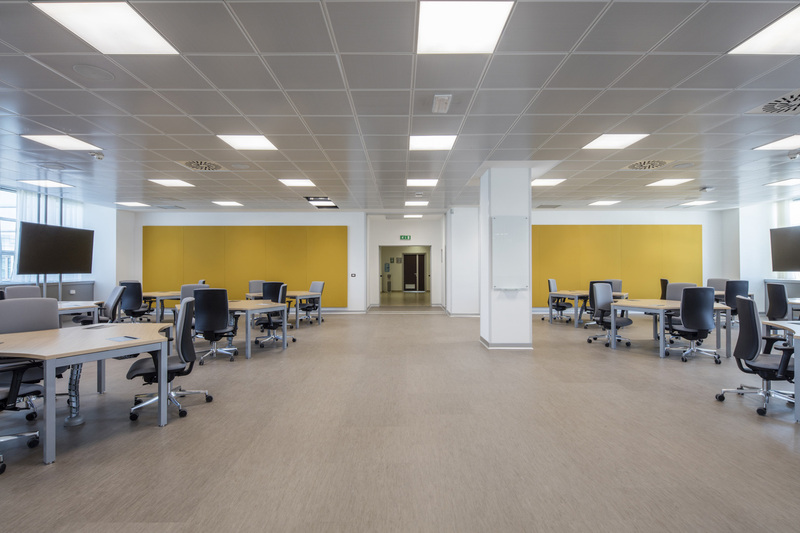 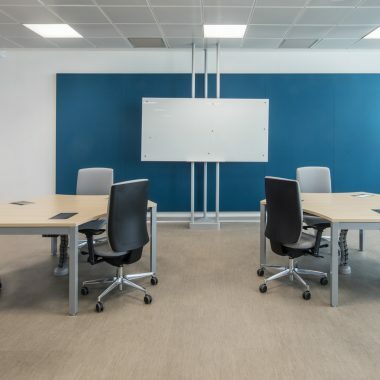 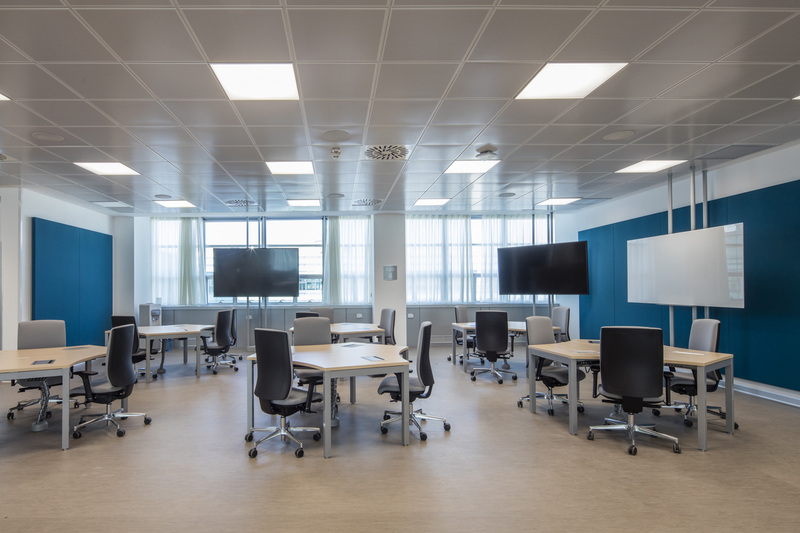 Caruso Acoustic has recently completed the installation of about 150 wall-mounted Silente sound-absorbing panels for Apple iOS Developer Academy, into the university complex of San Giovanni a Teduccio. 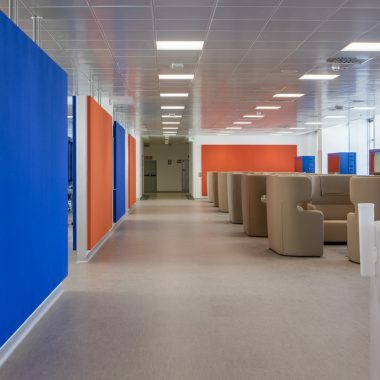 Created from a cooperation agreement with Federico II University in Naples (Italy), the Apple iOS Developer Academy is a didactic and research structure deriving from the conversion of Cirio former factories, whose design has been conceived by Ishimoto Europe – Ishimoto Architectural & Engineering Firm inc., in collaboration with the architect Francesco Scardaccione. 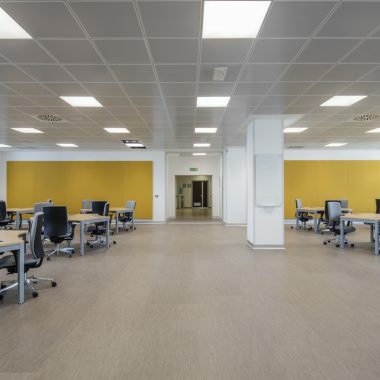 The supply of Caruso Acoustic sound-absorbing panels has taken place concurrently with the renovation and upgrading works on the third floor of L1-L2 building modules. 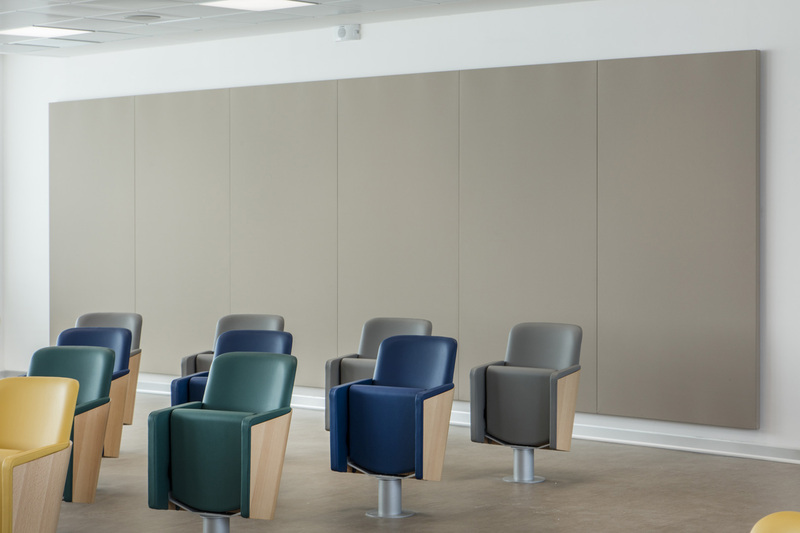 The acoustic requalification project stems from the specific need for improving the acoustic comfort of teaching and relaxation areas. 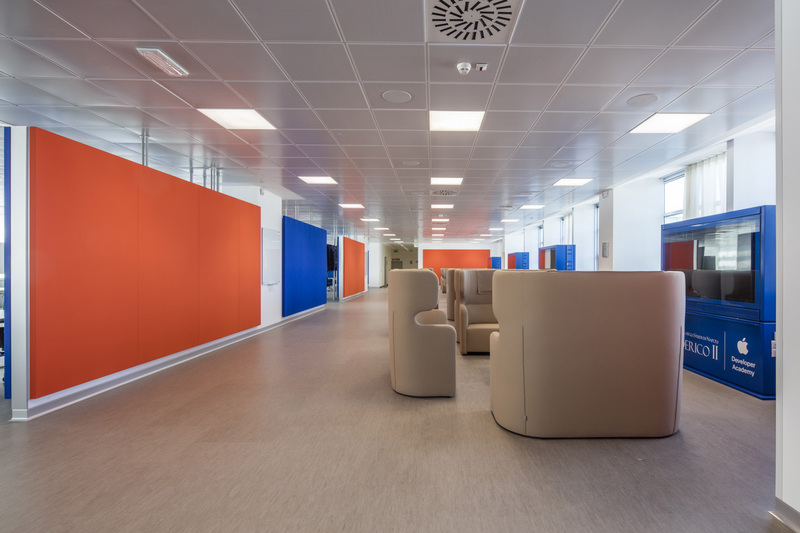 The panel colours have been chosen in continuity with the furniture to strengthen the aesthetical identity of the rooms. 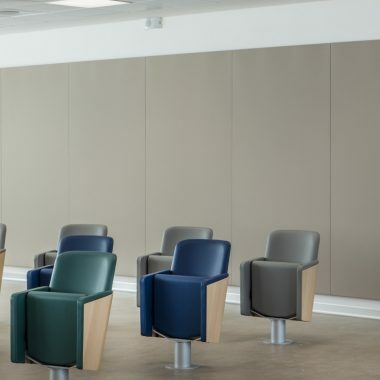 In fact, the wall-mounted panels contrast with the light parquet flooring, thus creating a suggestive decorative effect. 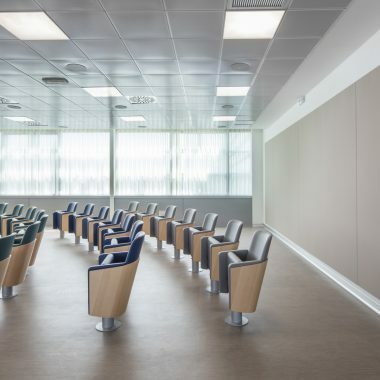 Great attention has been paid to the aesthetics of installation, but also to its functionality: the arrangement of Silente sound-absorbing panels creates a perfect correspondence with room perimeter and dividing walls, as well as ensures a uniform acoustic absorption and therefore a significant reduction of reverberation time. 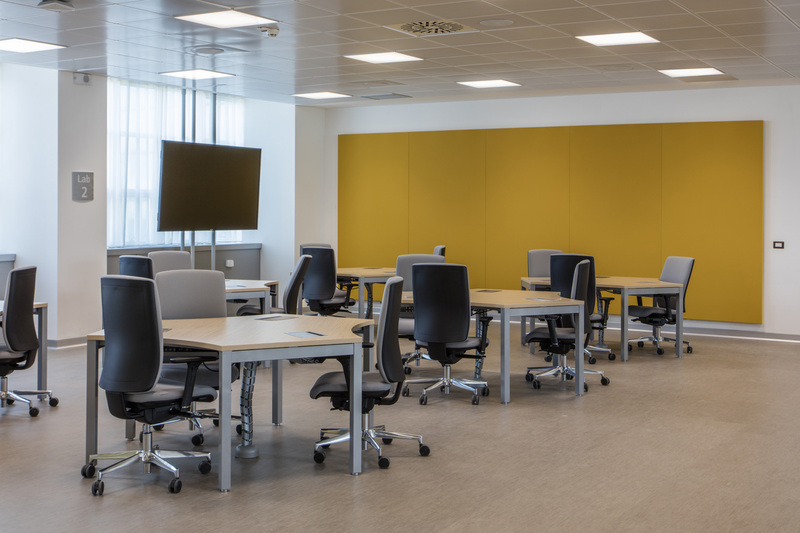 The installation of Caruso Acoustic products inside Apple iOS Developer Academy confirms the high customisation and adaptability level of its acoustic solutions regarding to the changing design needs by integrating indissolubly to the structure of the university complex.